Rabbi Shimon Badani is the Rosh Kollel of the Torah v’Chaim institution in Bnei Brak, and a member of the Moetzet Chachmei HaTorah. He’s renowned as one of the foremost Sephardic poskim in Israel today. 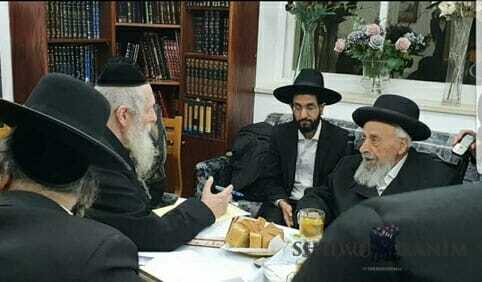 Yesterday, January 30, 2019, Rav Badani, shlita, came to visit Rav Eliezer Berland, shlita, at his home in Jerusalem. Rav Badani came to ask for a blessing for his grandchildren’s shidduchim. During the meeting, these two Torah giants had a very interesting conversation, which included many original Torah thoughts and ideas – and also a question about the redemption. “This is the blessing of Bilaam. “Bilaam’s blessings have already been realized. 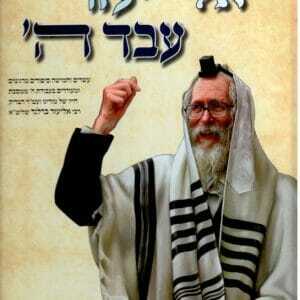 Moshe Rabbenu’s blessing have not. Bilaam’s blessing have been fulfilled because he is the satan, he’s the Angel of Death. Hashem arranged things that the blessings on shidduchim and the blessings on the yeshivas should be said by Bilaam. “Why did Hashem not reveal to Yitzhak that it was really Yaacov? Because He wanted Yaakov to receive the blessing, ‘as Esav.’ You got the blessing ‘as Esav’, so what do you want? Yitzhak was (apparently) blessing Esav, not Yaacov. The pshut of the pshut (simplest explanation) is that Yitzhak didn’t know that this was Yaacov, who came to take the blessings. “It’s written: “The voice is the voice of Yaacov, but the hands are the hands of Esav.” The division between the blessings of Yaacov and Esav, that Esav was blessed [like this]: “Behold, of the fatness of the earth shall be your dwelling and of the dew of the heavens from above.” (Bereishit 27: 39). Dew comes from the fatness of the land, it’s an earthly blessing. “But by Yaacov, it has a Divine / celestial reality: “And may God give you of the dew of the heavens and of the fatness of the earth, and abundant wine and grain.” (Bereishit 27:28). Even the gashmiut (materialism) is spiritual! “Learning Torah builds the mind, and children come from the mind. Hashem wants us to have a mind full of Torah. Rabbi Meir asked Elisha ben Avuya how it could be that what happened, happened. This was a person who knew the whole pardes of Torah – pshat, remez, drash, and sod – there was nothing he didn’t know. So, how did he become so confused? Elisha ben Avuya was a contemporary of Rabbi Akiva, and one of the four leading Torah sages who entered the Pardes, and plumbed the depths of esoteric thought. Yet Elisha ben Avuya eventually became a heretic who denied God. In the Talmud he is often referred to by his nickname Acher¸ ‘The Other’, a reference to how he turned away from Torah observance and true belief. 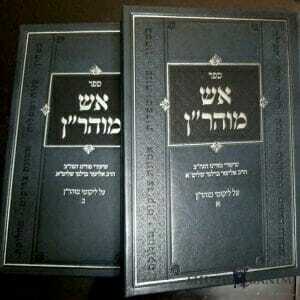 See the Gemara Tractate Kiddushin, 29). 1) Rav Chaim Kanievsky said that Moshiach will come before the Israeli Elections (April 9th, 2019). 2) Rav Chaim Kanievsky is accepted by world Jewry as the Gadol HaDor. 3) The numerical value of בביאת המשיח is 778. 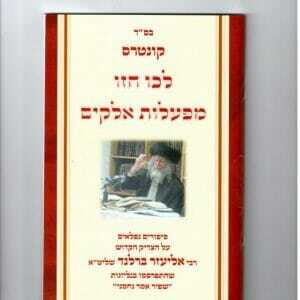 In the recording Rav Berland says ובביאת משיח which has a numerical value of 779. Mordechai Lewis where is the recording from R Kanievsky saying that?